In 2012 Ely Key and Garrett Riffle began brewing Switchel in Ely’s gramma’s old red barn in South Londonderry, Vermont. 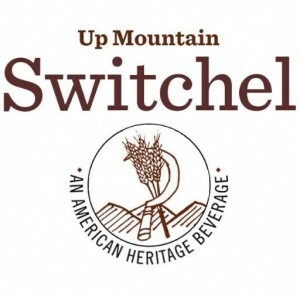 They started simply using a family recipe, and began brewing and perfecting what has become Up Mountain Switchel. They worked to modernize the recipe, using the best fresh ginger, raw organic apple cider vinegar, and grade A Vermont maple syrup around. Switchel began in the mountains of Vermont hundreds of years ago. The recipe was different back then. For example, they used powdered ginger because fresh root was not available. Fast-forward to today, Ely and Garrett reinvented this age-old recipe to be the most versatile health drink there is. It has a kick without the caffeine, and a vast array of health benefits. After putting their roots down in Vermont and perfecting the recipe, Ely and Garrett decided to move production to Brooklyn, NY. They moved into a kitchen in Bushwick, added a few members to the Switchel Squad, and began bringing the goodness of Switchel to the masses. Located in Bushwick, Brooklyn; the Switchel brewery is a state of the art facility fully equipped to enable the Switchel Squad to produce much more, and more efficiently, than in Gramma’s barn. Still using the freshest ginger available, raw organic apple cider vinegar from the Finger Lakes in upstate New York, and the purest grade A Vermont maple syrup, Ely and Garrett commissioned a custom kettle to be built for their new setup. Roots, Fruit and Sap captures the essence of Switchel. It references the all-natural ingredients; Fresh Ginger Root; Raw Organic Apple Cider Vinegar; and the purest Vermont Maple Syrup. The health benefits of these ingredients are vast, and there is no comparison with any other sports drink, or natural refreshment. Switchel is by far the best for you, and the most versatile in its use. You can heat it up to treat your sore throat, use it as a base for your salad dressing, as a mixer at a party, and of course, drinks it cold during your workout.